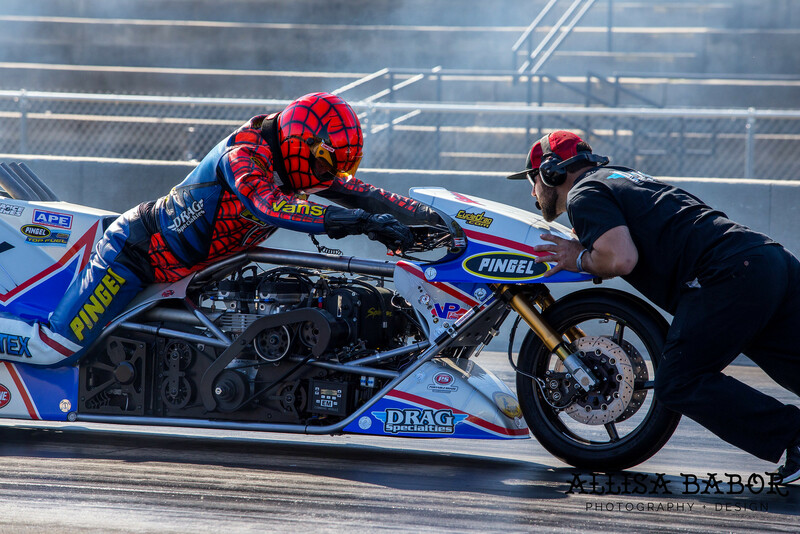 After nearly four decades of fearless, record-setting motorcycle drag racing, Larry “Spiderman” McBride put in the performance of his career, shattering world records with a 5.61 elapsed-time and 258 mph speed at the ManCup Finals, Nov. 17-19, from South Georgia Motorsports Park. McBride capped off his dream weekend by netting his 18th career championship. 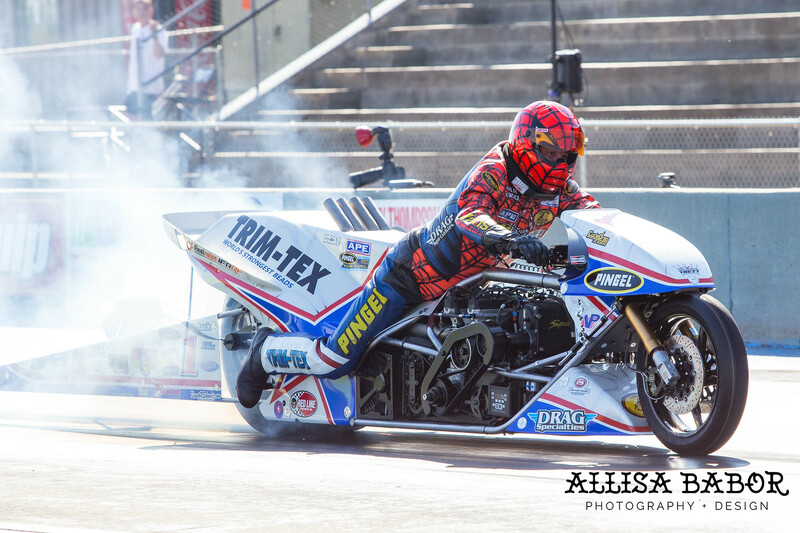 Life situations can change seemingly as quickly as a Top Fuel dragbike blasts down the quarter-mile. 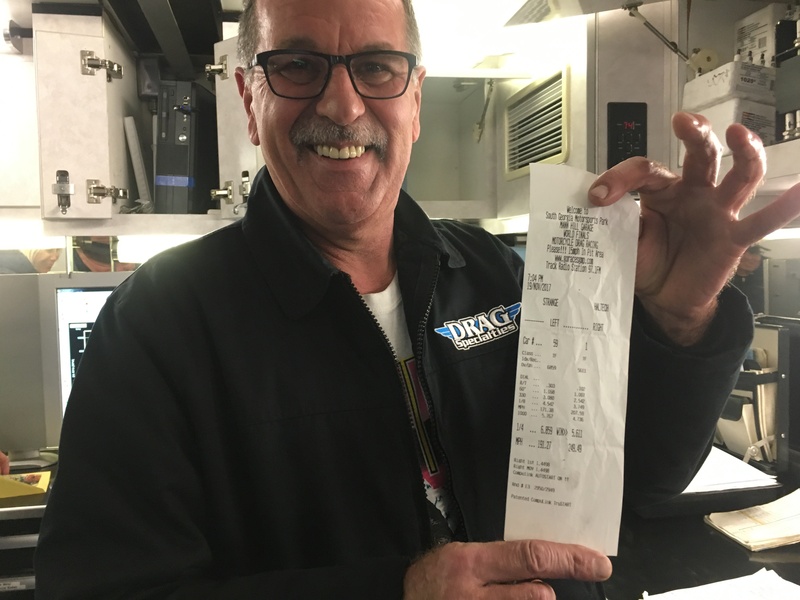 Two years ago, after suffering a violent on-track explosion and fire, McBride was confined to his home while recovering from third-degree burns. His beloved motorcycle of two decades was destroyed and he was unsure if he’d ever be able to race again. 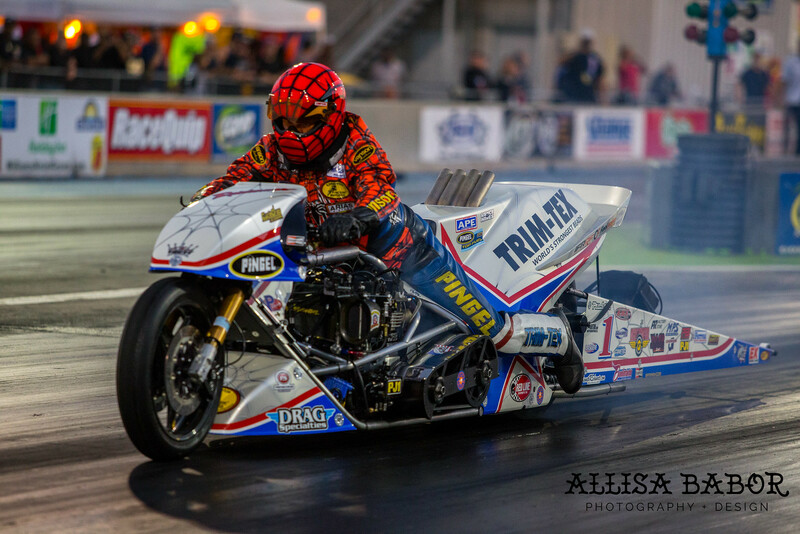 Through an unrelenting desire to persevere and a lot of help from supporters, including a primary sponsorship from Trim-Tex Drywall Products, McBride returned to the top of the sport with a comeback for the ages. McBride knew he was on the precipice of a dream weekend when he ran a career best 5.72 on Friday. Determined to future advance, McBride made certain Saturday was a historic day for the sport. McBride progressed with an astonishing 5.67 during his first run of the day. 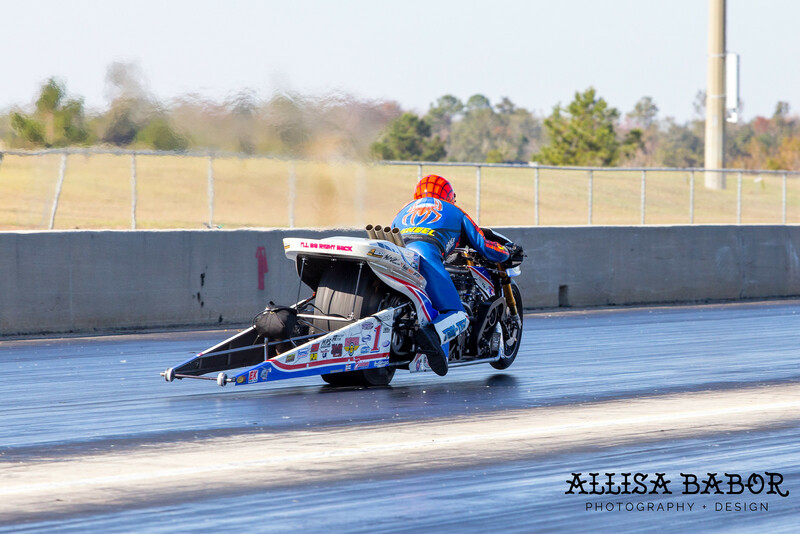 It marked the first time any motorcycle drag racer had dipped into the 5.60s. It surpassed the world record of Sweden’s Peter Svensson from 2012. It was a lifetime achievement for the Spiderman, who has speculated for more than a decade on whether or not a run in the 5.60-zone was possible. 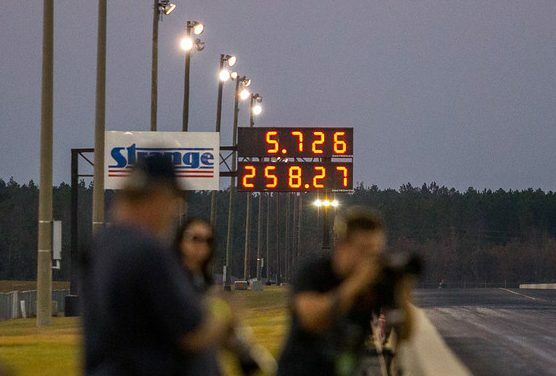 McBride’s next run showcased never-before-seen speed with a rapid pass of 258 mph. By virtue of his No. 1 qualifying positon McBride was granted a bye run in the opening round on Sunday. The Spiderman smoked the tire and lifted off the throttle. The most impactful news came two pairs before when European Rikard Gustafsson ousted Sam Wills, clinching the hotly-contested season title for McBride. McBride would be next up to battle the hot-hand of Gustafsson. The duo treated fans to one of the quickest side-by-side races in history with McBride’s 5.74 narrowly edging out the 5.85 of Gustafsson. Up next was an after-dark, final round showdown against the birthday boy Mitch Brown. Both machines sounded crisp as they came to life in the cool South Georgia evening air. What ensued was well beyond anyone’s wildest expectations. McBride powered through the finish line with a 5.61. It was an unusual reaction on the starting line. 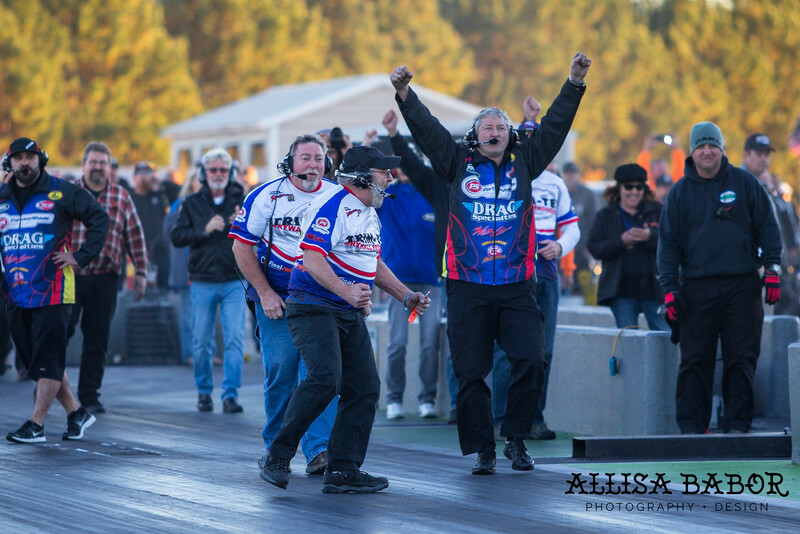 A record run by McBride normally sets off an immediate celebration by his crew and fans. When this number flashed on the scoreboard, there seemed to be a moment of disbelief. It was a moment of shock. Was it a 5.81 as onlookers squinted for a better view? After a decade plus of talking about whether or not a run in the 5.60s was possible, how could McBride be just one hundredth of a second away from a run in the 5.50s? And suddenly it was real. Those watching began to digest the historic achievement and special milestone. 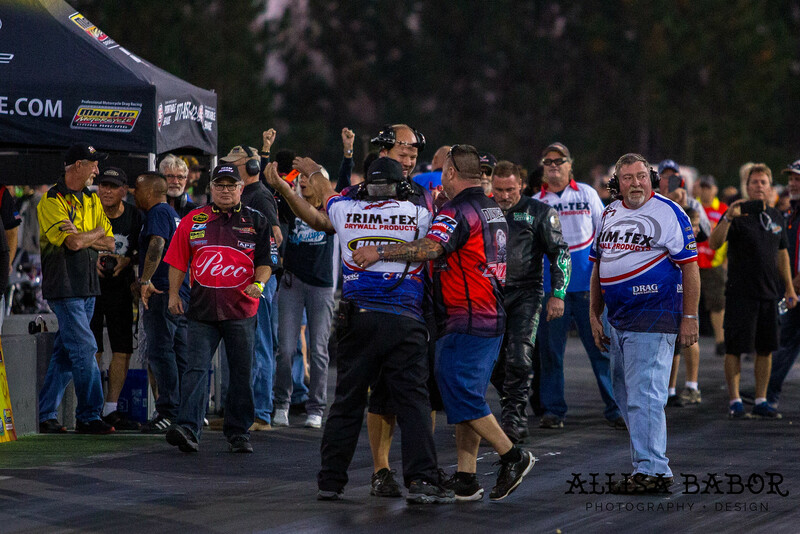 After a long show of respect by other racers and teams on the starting line McBride and his crew did something they don’t normally do after a run. McBride wanted to show his appreciation to his team. Steve McBride, Chuck Stuart and Dave Vantine discuss the record performance. Roland Stuart enjoying a moment with the motorcycle after the lifetime achievement. 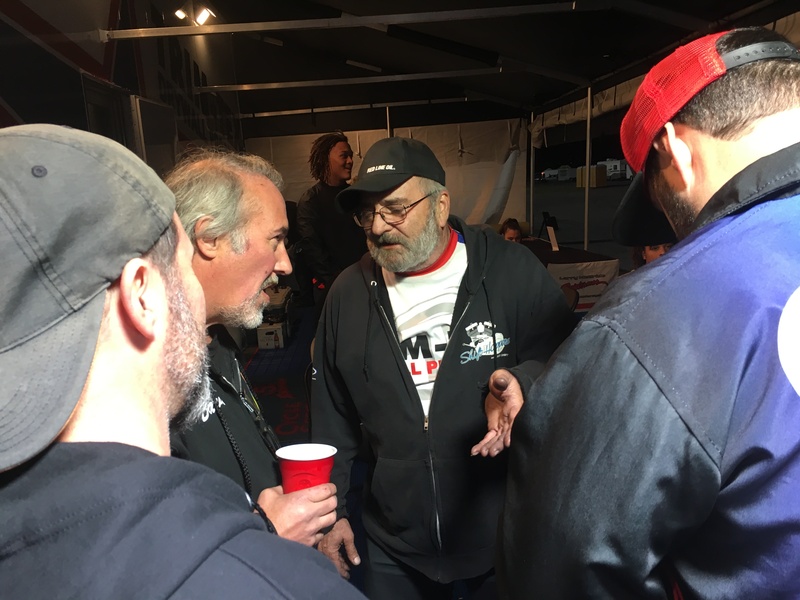 When McBride got back to his pit area he was greeted by hundreds. Primary sponsor Joe Koenig of Trim-Tex was equally delighted. 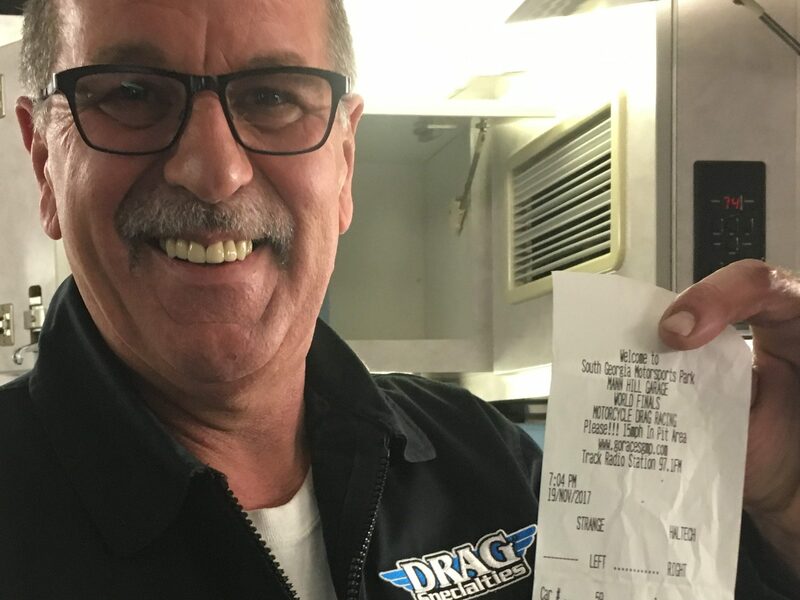 Koenig extended a special thanks to Dave Vantine for being such a class act and thanked all the members of the motorcycle drag racing media for keeping the sport going. McBride continues to build a unique and astounding racing pedigree few can match. In 1999 he became the first dragbike racer in the fives. He was also the first in the 5.80s, 5.70s, and now 5.60s. McBride says his key to success is to never stop listening. For McBride the work for the 2018 season has already begun. His next stop will be the PRI Show from Indianapolis, Ind. Dec. 7-9. 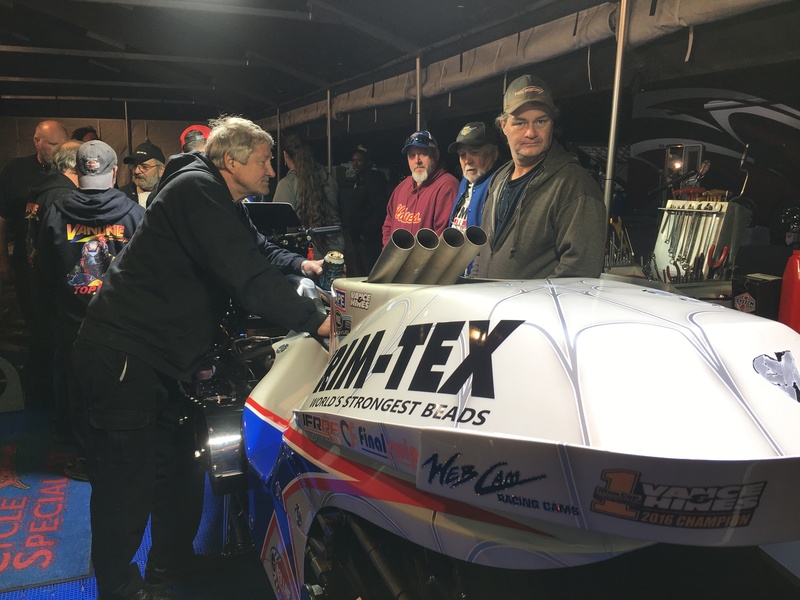 McBride also extended a special thanks to Bill Miller Engineering, Don Jackson, Gary Baillio of Final Swipe, Andy Sawyer, Chris Connelly, Jason and Dave Dunigan, Dimey Eddinger and the entire DME team. 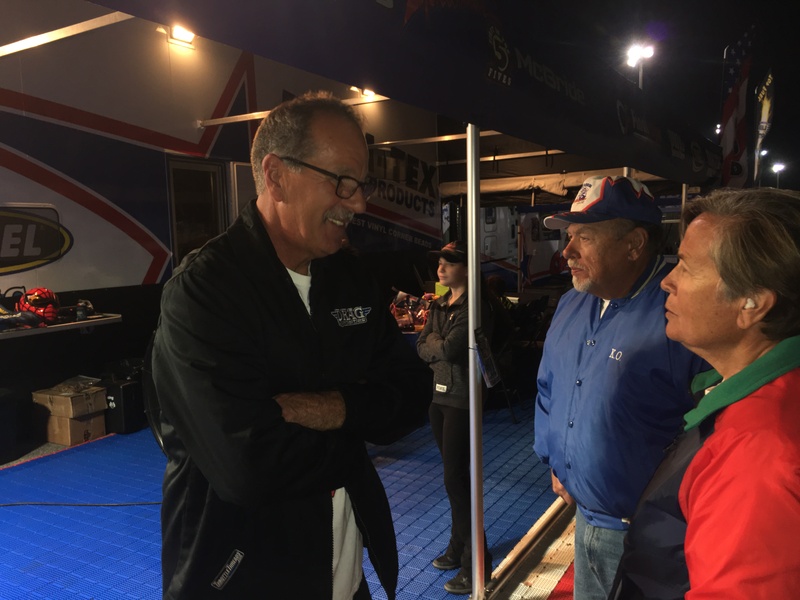 McBride thanked Wayne and Donna Pingel and Dave Dunigan for all the support they offer the Top Fuel class. Special thanks to Allisa Babor for photo contributions.